One Question is a monthly series in which we ask leading thinkers to give a brief answer to a single question. This month, we ask:What is the future of Gaza? With responses from: Ramzy Baroud; Richard Falk; Sara Roy; Abdalhadi Alijla; Norman Finkelstein; Toufic Haddad; Atef Alshaer; Helga Tawil-Souri; Hagar Kotef; Joel Beinin; Magid Shihade; Ran Greenstein; Richard Hardigan; Salman Abu Sitta. Journalist, author and editor of Palestine Chronicle. His latest book is The Last Earth: A Palestinian Story(Pluto, 2018). He has a PhD in Palestine Studies from the University of Exeter and is a Non-Resident Scholar at Orfalea Center for Global and International Studies, University of California Santa Barbara. His website is www.ramzybaroud.net. Professor Emeritus in International Law, Princeton University; between 2008-2014 he served as Special Rapporteur for Occupied Palestine on behalf of the UN Human Rights Council; his most recent books are Power Shift: On the New Global Order(University of Chicago, 2016) and Revisiting the Vietnam War(University of Cambridge, 2017). It is important to understand some essential features of the distinctive place of Gaza in the wider context of the Palestinian struggle for elemental rights. Perhaps most fundamentally, unlike the West Bank and Jerusalem, Gaza is not considered part of the ‘promised land’ that forms the substance of the Zionist Project to form a Jewish State that corresponds with its understanding of the scope of biblical entitlement. At the same time, Gaza has a long history of centrality in the Palestinian national experience that stretches back before the time of Mohammed, and thus the inclusion of Gaza in Palestine’s vision of self-determination is vital. This collides with Israel’s desire to maintain a Jewish majority state, which would make it desirable for Gaza to be absorbed or at least administered separately by either Jordan or Egypt. Gaza, more than the West Bank, has also been the center of Palestinian resistance, being the site where the First Intifada was launched in 1987 and where Hamas came to govern after it prevailed in internationally supervised elections of 2006 and in a struggle for governing authority the following year. The intense hostility between Hamas and the PLO has fractured Palestinian political unity, weakening Palestinian diplomatic leverage, and making it more plausible for Israel to claim it has no Palestinian ‘partner’ in the search for a peaceful solution. Gaza’s temporality has always defined Israel’s approach to the territory because Israel has never really known what to do with Gaza. Gaza has always been unruly, guilty of what for Israel is indefensible and unforgiveable: defiance. This accounts in part for Israel’s brutal treatment of the territory including a blockade now in its 12thyear, which has destroyed the local economy. Gaza was – and remains – the center of Palestinian resistance to Israeli occupation and the injustice that sustains it. The recent protests along the fence isolating Gaza from Israel, which at times exceeded 30,000 people, were a nightmare for Israel, a harbinger of things to come. No doubt one issue plaguing the Israeli government right now is how better to control Gaza. Palestinian-Swedish researcher and writer. Since April 2018, he has been an Associate Fellow at the Post-Conflict Research Center in Sarajevo, Bosnia and Herzegovina. He is a member of the elected Executive Committee of the Global Young Academy for 2018-2019, Director of Institute for Middle East Studies, Canada (IMESC), and Regional Manager of the Varieties of Democracy Institute (Gothenburg University) for Gulf countries. His work has appeared in OpenDemocracy, Huffpost,Qantara, Your Middle East, Jaddaliyaand other media outlets. Received his PhD from the Princeton University Politics Department. He has written many books, including The Holocaust Industry: Reflections on the Exploitation of Jewish Suffering(Verso, 2000), and most recently, Gaza: An Inquest into its Martyrdom(University of California, 2018). Completed his PhD in Development Studies at the School for Oriental and African Studies (SOAS) in London in 2015, and has recently engaged in postdoctoral research for the Arab Council for Social Sciences, exploring the political economy of siege and resilience in the Gaza Strip. Author of Palestine Ltd.: Neoliberalism and National Liberation in the Occupied Palestinian Territory(I.B. Taurus, 2016). The future or Gaza needs little prognostication: what after all could be the future of a territory of 360 km2crammed with two million people, two thirds of whom are refugees; whose water is entirely poisoned; whose civilian infrastructure has effectively collapsed; where food dependency exceeds 80 percent, and unemployment is the highest in the world? In 2017, the UN advanced its own 2012 prediction that the territory would become ‘unlivable’ by 2020, declaring the territory had already passed this dubious threshold. Lecturer in Arabic Studies at the University of Westminster. He has written several research papers and monographs, including Poetry and Politics in the Modern Arab World(Hurst, 2016); Language and National Identity in Palestine: Representations of Power and Resistance in Gaza(IB Taurus, 2018); the co-authored The Hezbollah Phenomenon: Politics and Communication, with Dina Matar and Lina Khatib (Hurst, 2014); and an edited volume, Love and Poetry in the Middle East(Hurst, 2018). Much has been written about Gaza, but little has been done to alleviate its suffering, that of two million people trapped for more than a decade in 365 square kilometres. It is crowded as well as poverty-stricken, and lacking in opportunities for its vibrant and often educated youth. It is depleted of humane prospects for the future, yet Gazans continue to resist and innovate in their resistance; and the latest manifestation of this is the Great March for Return, held to commemorate the 70thanniversary of the Palestinian Nakba, the dispossession from historic Palestine. t is utterly sad that Gaza lacks a future that befits its extraordinarily warm and movingly steadfast people, notwithstanding the pain. Gaza was once part of the fabric of the Mediterranean world. Wrenched from its natural bosom, Gaza will most unfortunately remain a suffering shadow of its former prosperous self. Associate Professor of Media, Culture, and Communication at New York University where she is also the Director of the Kevorkian Center for Near Eastern Studies. 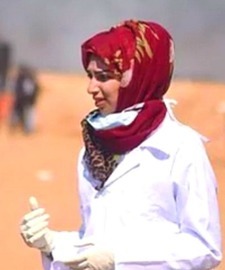 She co-edited Gaza as Metaphorwith Dina Matar (Hurst, 2016), and teaches and writes on technology, media, territory and politics in the Middle East, with a focus on Palestine-Israel. Trying to predict the future would therefore be foolish, but I am also not sure I want to use this question as an opportunity to imagine. As a Jewish Israeli, this is not my imagination to unfold, not my space to occupy. The point of departure should therefore be the imagination of people in Gaza, and the recent demonstrations at Israel’s buffer zone provide an opportunity to listen. Those demonstrations entailed a demand for a future: a demand to be set free of the siege that has lasted (depending how and what one counts) at least 11 years, but also, through the name ‘the Great March of Return’, a demand to change the terms through which this freedom is understood. 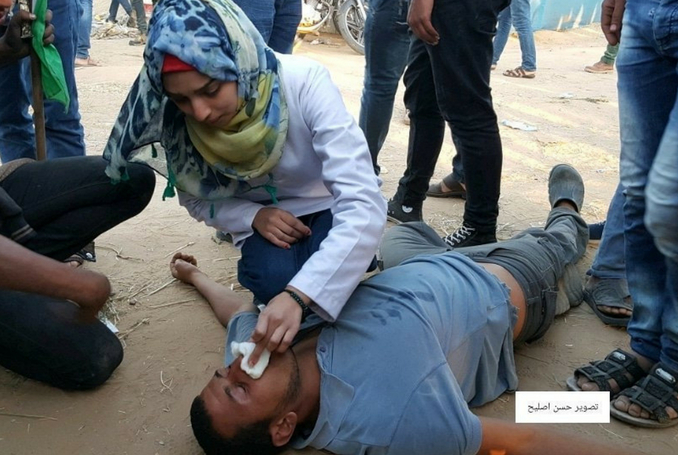 The recent attacks of the PA on demonstrators supporting Gaza show that the PA itself has accepted this division (if only as a tool to re-gain control over Gaza). The American enterprise seems to already take the isolation of Gaza almost for granted. When we ask about the future of Gazawe have already given up the question of the future of Palestine or have excluded Gazans from this question. We need to ask a different question then, or ask the question differently. Assistant professor of International Studies at Birzeit University. His book, Not Just a Soccer Game: Colonialism and Conflict among Palestinians in Israelwas published in 2011 by Syracuse University Press. His recent articles include: ‘Global Israel: Settler Colonialism, Ruptures and Connection’, Borderlands, 2015, and ‘Education and Decolonization: On Not Reading Ibn Khaldun in Palestine’, Decolonization: Indigeneity, Education, & Society, 2017. So, the future of Gaza-Palestine is part of the future of the world. It is the future of surviving the current conditions, created by the many who have been negatively affected by them, and needs a global framework. In thinking about the possibility of a better future, one is reminded of the concept of asabiyya(social solidarity) defined by the 14-15th century scholar Ibn Khaldun. In his analysis of how societies manage to survive, Ibn Khaldun argued that some form of common feeling is needed among the members of a group. And this cooperation between people is not just an ethical issue, but a practical one. Associate professor of sociology at the University of the Witwatersrand, Johannesburg, South Africa. Among his publications are Zionism and its Discontents: A Century of Radical Dissent in Israel/Palestine(Pluto, 2014), and Identity, Nationalism, and Race: Anti-colonial Resistance in South Africa and Israel/Palestine(forthcoming). University professor based in California. He is author of The Other Side of the Wall(Cune, 2018). His website is richardhardigan.com, and you can follow him on Twitter @RichardHardigan. The quality of life in the Gaza Strip is appalling. According to a 2017 studyby the Israeli NGO B’Tselem, the unemployment rate hovers at 44% (61.9% for those under the age of 29). 80% of Gazans depend on humanitarian aid, while 60% suffer from food insecurity. 96.2% of the Strip’s water is contaminated and undrinkable. Electricity is cut for all but a few hours every day. Raw sewage is pumped into the sea. And the situation is only worsening. A reportissued by the United Nations in 2015 predicted that the Gaza Strip will be uninhabitable by 2020. A writer and activist on Palestinian refugees and the Right of Return. He has authored over 300 papers and articles and five books including the encyclopaedic Atlas of Palestine 1948and the expanded Atlas of Palestine 1917- 1966published in 2010. He is founder and president of the Palestine Land Society, UK, for the purpose of documenting the land and people of Palestine. The society website has a wealth of information at www.plands.org. While struggling with the challenges posed by writing a memoir during the endgame of life, conceptual cleansing seemed essential if I was ever to convey my identity with even a slight feeling of authenticity. The mystery at the core of my personal and public existence is how I came to trust my sense of moral purpose in life enough to act upon it despite shyness, a contemplative nature, and a strong dislike of self-promotion? It would hardly be a mystery if social norms led most people to reflect their sense of moral purpose in their relationships, career, and sense of self. We would say it was an aspect of the human condition, moving on to search for some other defining feature of a lived life. As my form of engagement with moral purpose runs against the current of mainstream opinion I have paid the price of marginalization, although validated by inner convictions and affinities with those who are likeminded. Yet I also realized that those who clung to arguments about the wrongfulness of the war and were appalled by the way the United States was behaving in Vietnam, held a rose-tinted view of international law as invariably on the side of the angels. Some of these liberals believed that if only governments, especially our government, could be persuaded to uphold the law in all its external facets, the world would be peaceful and grow prosperous. Questions of equity in global settings were pushed to one side, out of sight. For elites the catchphrase was ‘the management of interdependence.’ For idealists, it was ‘world peace through law,’ an ethos that never attracted me and seemed mechanical and naïve because of its apolitical advocacy. I also felt that this legal utopianism had not the slightest prospect of being acted upon given the way the world was organized, and if due to unanticipated developments, it were to be acted upon it would likely end up as a globally centralized tyranny, almost a necessitated outcome, given the gross inequalities of circumstances between the developed and developing worlds, as reinforced by the refusal of the rich and powerful to make sacrifices to help the poor and vulnerable unless pushed to do so by credible revolutionary threats. I also held in these years what I would call ‘a world order’ view that the UN Charter should be respected with regard to peace and security issues as I was alarmed by the prospect of war between the Soviet Union and the United States, and believed that the UN deserved respect even if it was not strong enough, nor was it ever meant to be, to preserve the peace in the face of geopolitical conflict. Granting the veto to the Permanent Members of the Security Council was the clearest possible signal of true character of the UN as a modest undertaking, a perception confused, and somewhat contradicted, by the visionary language of the Preamble to the UN Charter. It was obvious even before the Cold War got going that it would be crazy for the Soviet Union to engage in even limited ways if the UN if the Western majority could control the decision process in the Security Council. The League of Nations had taught the West that it was worthwhile having the Soviet Union participating as a Member of the UN even if it meant weakening the authority or capabilities of the organization with respect to the control of the behavior of its members. Idealists hoped that the wartime alliance would persist in peacetime, while the realists thought and acted as though postwar stability was as dependent as ever on balance of power geopolitics, containment, and deterrence. It was one thing to join forces to defeat Hitler’s Germany. It was quite another to overlook geopolitical rivalries as fueled by competing ambitions, ideas, and fears. Such rivalries quickly surfaced during the peace diplomacy of the victors in World War II, especially exhibiting sharp differences over the postwar future of Europe, particularly Germany. I came to understand that these larger quests were associated with a recognition that human interests deserved priority over nationalinterests when they clashed. This also meant that the empowerment of peoplewas a more emancipatory force than the consolidation of state power. In this regard, the anti-war movement in the United States, especially after 1965, provided the inspirational basis for my first trip to North Vietnam in 1968. Going to talk with ‘the enemy’ transformed my whole perception of why I opposed the war—it led me to identify with the nationalist struggle of the Vietnamese people against this post-colonial colonial futile and anguished effort that was confused with the imperatives of the Cold War by American leaders drunk with their own intoxicating ideology of freedom, which came to mean the promotion of markets more than the wellbeing of people. Meeting with Vietnamese leaders and witnessing the realities of the people of Vietnam and their struggle led me to view the American war effort as worse than a serious mistakeof judgment, in the manner of Morgenthau and Kennan, and having the character of acriminal enterprise. In retrospect, I appreciate the visionary underscoring of this shift of normative assessment from mistake to crime that was given its most comprehensive rendering in the two sessions of the Bertrand Russell Tribunal, chaired by Jean-Paul Sartre, held in 1967. This cosmopolitan understanding of what seemed so decisive for me did involve a refusal to pass judgment and reach conclusions on the basis of national patriotism or ethno/religious identity. I think this way of looking contributed to my response to Palestinian victimization. The mere fact of being Jewish seemed more important for most others I knew than for myself, either others praised me for looking beyond my tribal identity or damning me for doing so, the whole false consciousness bound up in the nasty and defamatory accusation of being a self-hating Jew. I have come to understand that I am neither self-hating, nor self-loving. Being a Jew is a hereditary fact of my beingthat has not been very relevant in my becoming, although I am not oblivious to the horrifying tragedy inflicted upon the Jewish people of Europe during the period of Nazi ascendancy, and what my fate, and many of those I loved, would have been had I been caught in that genocidal maelstrom. Yet I never believed that the Zionist escape from the genuine horrors of anti-Semitism should be or needed to be achieved at the expense of another people or that a Jewish homeland in a non-Jewish society was the proper response to the long history of Jewish persecution. My own effort over the course of the last twenty years to delineate a new form of engaged citizenship is based on the possible futureemergence of human community, and the commitment to seek that kind of desired reality as a goal without pretending it to be a present reality. I identify such a future-oriented engagement by the label ‘citizen pilgrim,’ the pilgrim being defined as someone on a journey to a desired future. My mature publicsense of moral purpose is associated with thinking, feeling, and acting as a citizen pilgrim to the extent possible, not in a New Age spirit of self-contentment, but in concretecircumstances where the relevance of a shared humanity is given precedence. This helps explain my disposition toward solidarity with the poor, vulnerable, marginalized, and my suspicions toward the rich and powerful. Such a way of acting in the public sphere is undoubtedly reflected in the intimacies of the private sphere, and vice versa, and so affirms the slogan ‘the personal is political,’ and its correlative ‘the political is personal.’ Love of partner, of children, and of friends strengthens the capacity of the citizen pilgrim to live happily in mostly alien worlds, although the separations of these spheres is more a matter of mental disposition than of experience. In this central respect my guiding moral purposeis to love and be loved, which means eroding the public dimensions of moral purpose, a choice I manifest each time I ignore a beggar on the street. Of course, maybe I am making too much of my freedom to be and to choose. Perhaps what I am articulating is a thin gloss over genetic programming, as affected by social and cultural conditioning. If there is one distinctive feature of my deference to moral purpose it is a willingness not to fit in, yet also a prudential set of restraints that make me stop well short of being an outlawor a revolutionary warrior.